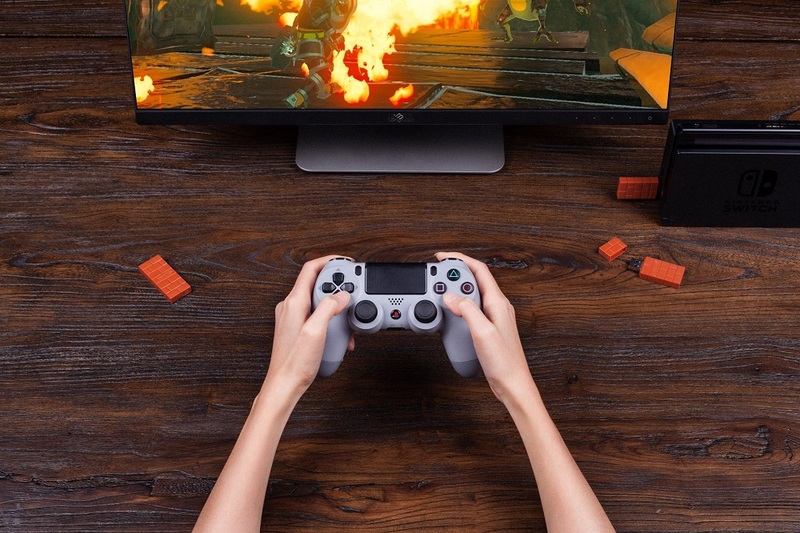 A new gadget has been released by third-party peripheral makers 8bitdo will allow you to use various controllers with the Nintendo Switch, including Sony's DualShock 3 & 4 PlayStation pads. The 8bitdo Wireless USB Adapter also works with numerous other devices such as PC, Mac, Raspberry Pi and Android TV. The tiny gizmo features a design based on the classic Super Mario Bros. brickwork and will enable Switch owners to open up their options a little when it comes to running Link through a dungeon, or inking squid-kids with reckless abandon. 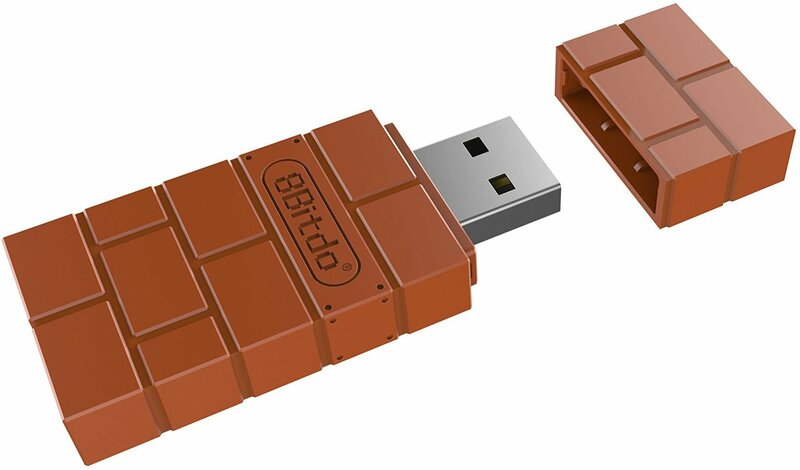 The 8bitdo Wireless USB Adapter retails for $20, and is available to purchase from Amazon now.